In December last year I was contacted by Department of Conservation staff on Stephens Island reporting that they had found a bone that looked like a parrot’s beak in their vegetable garden, and asking if I could help identify it. Stephens Island Nature Reserve lies off the northern tip of D’Urville Island in the western approaches to Cook Strait, and has a fascinating conservation history. It was an island ark holding many now-extinct species including Lyall’s wren, South Island piopio and South Island kokako until a lighthouse settlement was established in the early 1890s. 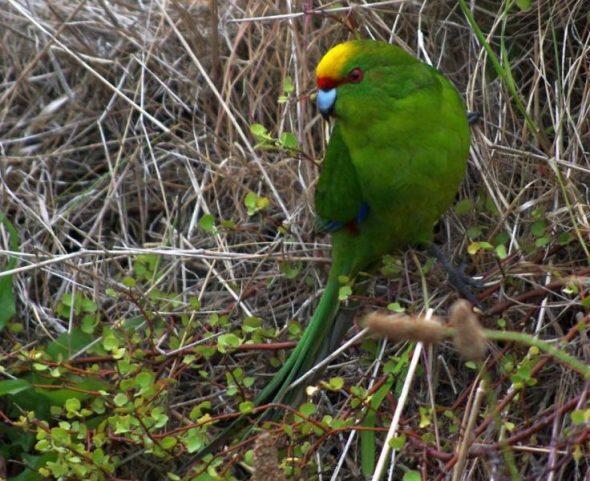 Most of the forest was cleared and cats introduced resulting in the local extinction of about 14 bird species (and global extinction of Lyall’s wren), including South Island saddleback, kaka and yellow-crowned parakeet in addition to piopio and kokako. The island was then inhabited by lighthouse keepers and their families for the best part of a century, and so it was quite possible that one of those salty sea-dogs had buried an exotic pet parrot in their garden (aargh me hearties!). The feral cats were eradicated by 1925, and the island retains many important animal populations, including the bulk of the world’s tuatara, and an endemic frog. The maxilla (upper beak) reached me this week and is shown in the photograph – it is the brown bone in the middle. 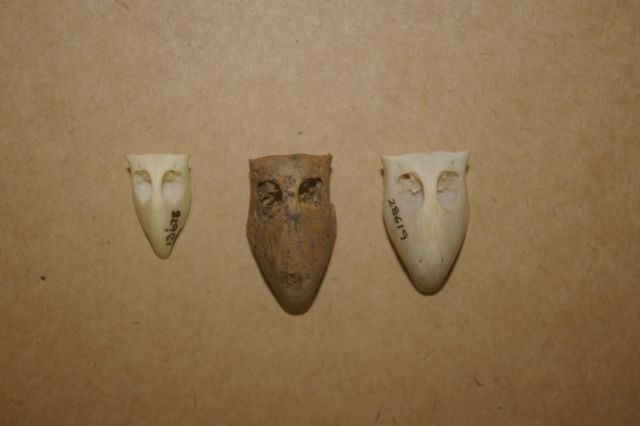 To the left is the maxilla of a yellow-crowned parakeet, a species resident on Stephens Island until about 1900. To the right is the maxilla of a female Antipodes Island parakeet, a subantarctic species much larger than the mainland parakeet species. 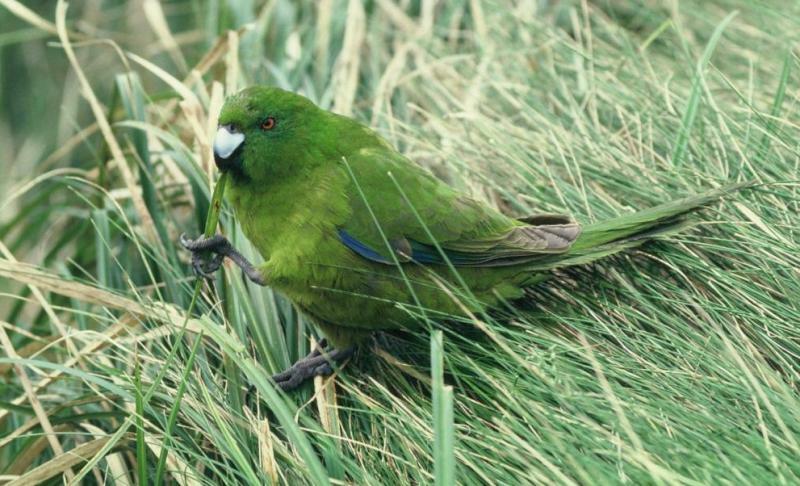 The beak found in the vegetable garden on Stephens Island is of a male Antipodes Island parakeet (which are larger than females), but how did it get there? In 1986/87 the New Zealand Wildlife Service (one of the parent departments for the current Department of Conservation) embarked on an ill-conceived (and ill-fated) attempt to establish an insurance population of Antipodes Island parakeets on Stephens Island by releasing about 15 captive-reared birds. One or two pairs bred successfully, but all the resulting young and most of the adults gradually disappeared. It transpired that the birds had adopted their ancestral habit of entering burrows in the ground, but instead of finding storm-petrel chicks to snack on they found hungry tuatara that turned the tables. The two remaining adult parakeets were recaptured and returned to captivity in 1988. The chance find of this out-of-place parakeet maxilla in the vegetable garden on the island suggests that a tuatara formerly resident at that site enjoyed an exotic feast about 23 years ago. Sad but good story, Colin.